Did the recent atrocities in Paris smash the Overton Window, or simply rattle the frame? The Overton Window - as noted before - describes the prevailing range of political ideas that are acceptable to an electorate at any given point in time. Before the atrocities in Paris, the Overton Window was quite narrow in relation to immigration and relations with Muslims in Europe. 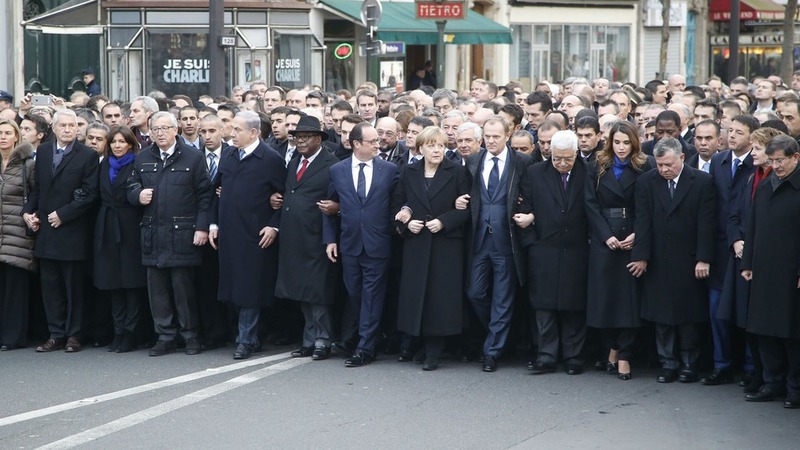 I suspect it has gotten wider after Charlie Hebdo; only time will tell. Something must be done. I don't know what needs to be done, but I suspect I know what is coming. First, if it is true that Islam is merely responding to crimes against it, those crimes are not new and certainly didn't originate in the creation of Israel, the invasion of Iraq or recent events. This has been going on far longer than that. ...Nor is secularism about to sweep the Islamic world. The Arab Spring was a Western fantasy that the collapse of communism in 1989 was repeating itself in the Islamic world with the same results. There are certainly Muslim liberals and secularists. However, they do not control events — no single group does — and it is the events, not the theory, that shape our lives. Europe's sense of nation is rooted in shared history, language, ethnicity and yes, in Christianity or its heir, secularism. Europe has no concept of the nation except for these things, and Muslims share in none of them. It is difficult to imagine another outcome save for another round of ghettoization and deportation. This is repulsive to the European sensibility now, but certainly not alien to European history. Unable to distinguish radical Muslims from other Muslims, Europe will increasingly and unintentionally move in this direction. But beyond the geo-politics, we need to bring the debate back to one about values in order to chart a way forward for a European politics of engagement, not appeasement. And here I think is the biggest problem for Europe. We can spend more on security, spy on ever more suspects and police our borders more effectively, but the fundamental question will remain unanswered: what are the values of Europe's majority and why are they superior to those of an extremist minority? If Kierkegaard is right - that truth always rests with the minority because the majority have no opinion - then there may not be an answer because the majority no longer have any shared values of their own. To Friedman's point, Europe's cultural DNA is built around quite distinctive values: a fusion of Greek, Roman and Christian insights into what makes a flourishing society and economy. As Deirdre McCloskey explains it, Europe's Great Enrichment was thanks to the 'seven virtues' of Prudence, Temperance, Courage, Justice, Faith, Hope & Love - the first four from the ancient world, the last three from Christianity. Islam is not the only minority faith in Europe - so also is Christianity throughout much of the continent (ignoring 'cultural Christians'). So there are several 'minorities' contesting for Europe's future. Charles Taylor sees the future as a three-way contest between secular humanists (the dominant orthodoxy in Europe for now), neo-Nietzschean antihumanists (they haven't gone away you know), and acknowledgers of transcendence (mainly Christians but also Muslims). As Taylor sees it, any pair can gang up on the other, so expect to see increasingly strange coalitions as the Overton Window both widens and shifts in the months and years ahead.